Independently owned and operated company since 2006. We have A+ Rating with local BBB and The Boston North Business Chamber. Transparent Pricing, No Hidden Fees. Low Overhead, means low shredding Cost. No greedy stock holders here! 10″H x 12″W x 15″D. – Drop Off 10 Lbs will cost you $8.95 Plus $14.95 for the Certificate of destruction. – Drop Off 10 Bankers Boxes will cost you $200 Plus $14.95 For the certificate of destruction. – Storage Clean out of 1,000 Lbs or more, call for special rates. I had a storage space in Needham that was full of my old medical files, I did my research and I was amazed how much others wanted to charge me, I spoke to George and he was super helpful, your rate was half of what Shredit quoted me and your driver was not shy for rolling his sleeves and going to work. He did not mind the dusty old boxes and the best part was the invoice was exactly what you quoted me. You have my full permission to share this email with your customers who may be on the fence. I closed my accounting firm over 10 years ago and had all my clients old tax files, payroll information that contained social security numbers and their contact details. 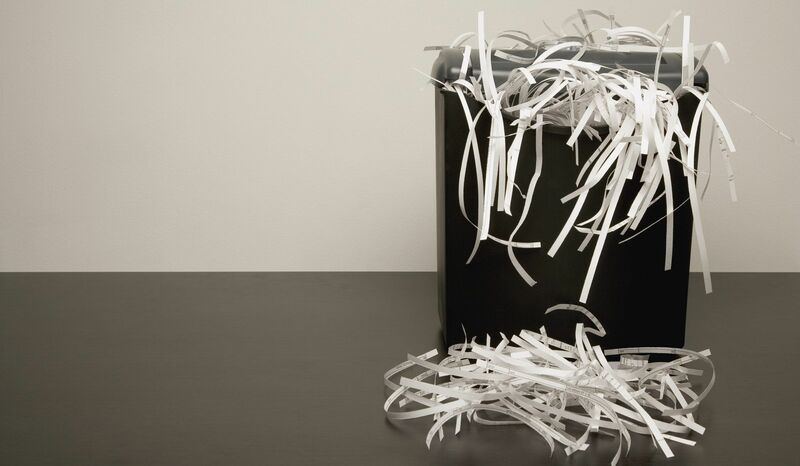 I could not risk violating HIPAA and FACTA and spent the weekend looking for a trustworthy shredder, you were the first company to answer the call on Saturday Morning and the lady I spoke to was super nice and helpful. I was please to see you rates on line, other mask it and resell the info they collect from their Lead forms. What happened to honesty and transparency? Glad to give you my business, I love supporting local organization. Your driver came to my home office and was very helpful and my HIPAA certificate of destruction arrived in two days and as promised. A+++ for service and for honesty.